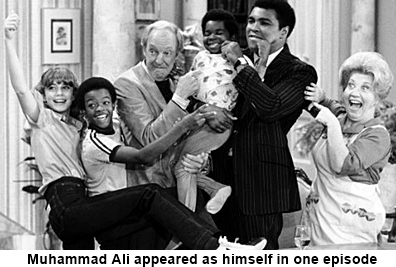 Phillip Drummond (Conrad Bain) is a extremely wealthy widower who lives in a Manhattan penthouse apartment with his daughter Kimberly (Dana Plato) and their housekeeper Mrs. Garrett (Charlotte Rae). A former housekeeper of Drummond’s, who was widowed herself, had two young sons which she raised in Harlem. Drummond had previously made the woman a promise that if anything ever happened to her, he would make sure her two sons were taken care of. Upon hearing of her death he went to visit the boys inviting them to come live with him and then eventually adopting them. That is the premise which brings this racially diverse family together and points out the difficulties that both sides experienced trying to cope with all the changes it brought. The two young boys were 12 year old Willis Jackson (Todd Bridges) and eight year old Arnold Jackson (Gary Coleman). Most of the shows humor arises from situations that Arnold gets into. 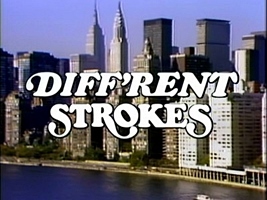 In the early seasons race was used as a comedic underpinning to some of the situational humor but as the show progressed race became a non-issue and was rarely if ever mentioned. Janet Jackson played Willis’s girlfriend, Charlene DuPrey, even singing in one episode. As her music career took off she was usually not available to appear in the series and was phased out. Charlotte Rae (Mrs. Garrett) left the show in her second season to star in a Diff’rent Stokes spin-off called, The Facts of Life. Since “Facts” was also a NBC production she was guaranteed her spot back if the new show failed. The ratings dipped by the end of the seventh season and NBC canceled the show. ABC decided to gamble and picked up the series for the fall season but even a few cast changes didn’t seem to help the shows ratings and ABC also gave it the axe after just 19 episodes. Dana Plato became pregnant in real life in 1984. The writers couldn’t figure out anyway that it could have possibly happened to her innocent character Kimberly Drummond so they were forced to let her go and write her out of the show. The following year after the birth of her child she did come back for a couple of guest appearances.